Both my older son and I received returns today. Not bad for a Tuesday. 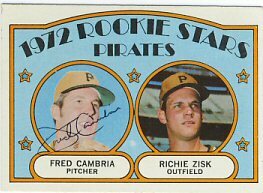 I received a 1971 and 1972 Topps signed by Fred Cambria. 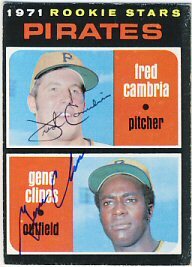 The 1971 was already signed by Gene Clines. 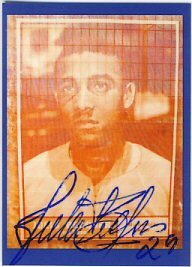 My son received a 1958 Topps signed by Julio Becquer. 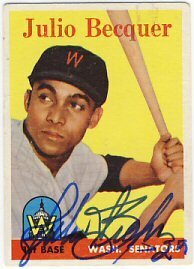 Mr. Becquer also included a signed card of his own which appears to be a photo of the fence outside Target Field that has the images of old Twins baseball cards, this one showing Mr. Becquer's 1961 card. He also signed the letter my son wrote, wishing him Happy Holidays. Very nice. My son was happy to get it. Three returns in the mailbox today. 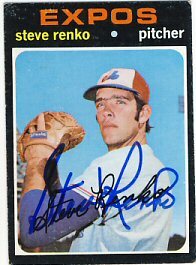 First, Steve Renko signed five cards for me. Yes, five. I usually don't send that many and I'm not sure why I sent this many to Mr. Renko. 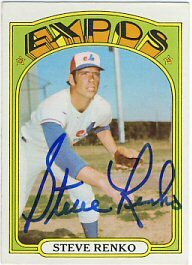 He was very generous and signed them all though, including Topps cards from 1971, 1972, 1972 In Action, 1973 and 1978. 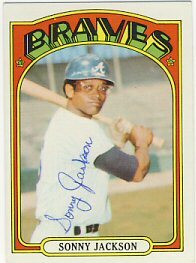 Sonny Jackson signed his 1972 and 1973 Topps. 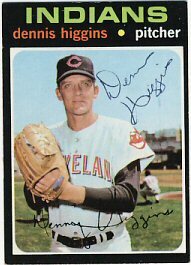 And Dennis Higgins signed his 1971 and 1972 Topps. 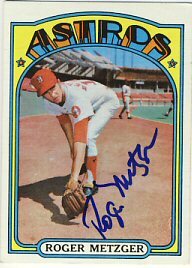 This brings me up to 93 cards signed from the 1972 Topps set, or 23.25% of my goal of 400. 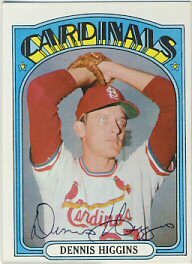 I should be well over 100 cards by the end of the week. Today I received on return in the mail. 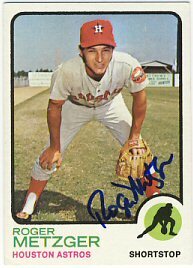 Roger Metzger signed his 1971, 1972, 1973 and 1978 Topps for me. My sons and I went to Cedar Cliff Collectibles in Eagan today. In addition to a few comic books, I bought a Ron Guidry signed baseball (Tristar cert), and Torii Hunter ad A.J Pierzynski signed photos, with COAs from the old Shinders chain. $28 for all three pieces. 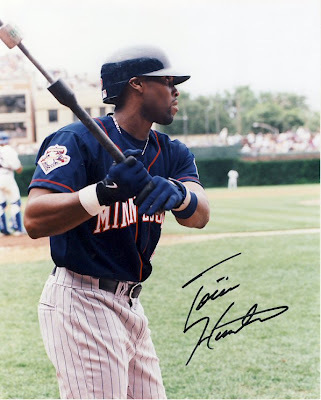 I was a little skeptical of the Hunter signature at first because of the way the "t" in his last name is crossed without the pen lifting up after the "r" in his last name. 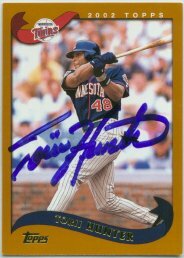 But, I have a certified card from 2002 in which he signed his name this way. The COA lists the signing date of this photo as June 24th, 2002. 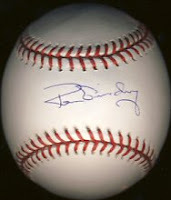 The signature I got from him in person in 2007 is different. 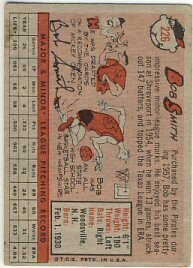 Today I received a return from Bob Smith, who signed his 1958 and 1959 Topps for me. 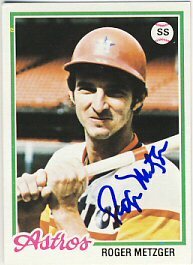 Which Bob Smith? Good question! Bob G. Smith. 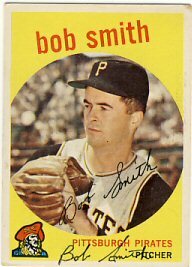 Which Bob G. Smith? Good question! 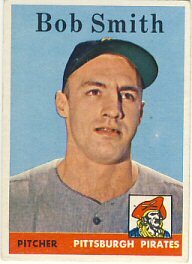 Not Bobby Gene Smith, which is who is pictured on the front of Bob Gilchrist Smith's 1958 Topps card. Confusing? You bet. 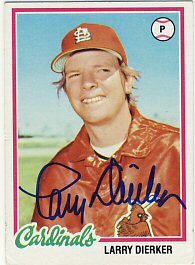 Which is probably why it took my seven years to get this card signed. 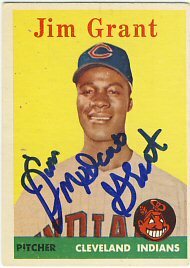 Mr. Smith signed the back of the 1958 card since the picture isn't him, but the stats are. 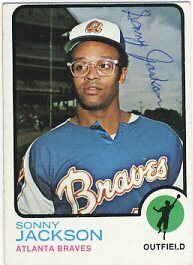 He included a pre-printed note explaining the situation and that he and Bobby Gene Smith were good friends in their playing days. 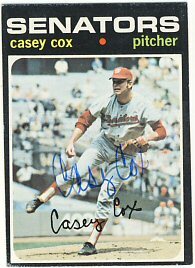 He signed the front of the 1959 Topps card. 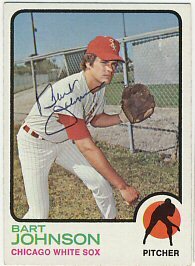 I also received a dozen Gold Glove baseballs I bought from a fellow SCN member. 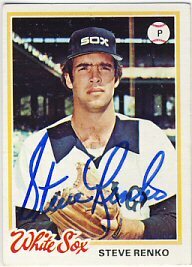 Nick, from Baseball Happenings was kind enough to email a while back to see if I needed some autographs from a few guys he was going to be seeing. 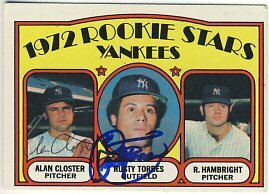 I was able to get two cards signed by Jim "Mudcat" Grant and the 1972 Yankees Rookie Stars signed by Rusty Torres (already signed by Closter). Thanks Nick! 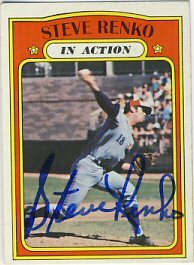 I also got two ttm requests back today. Not bad for a Tuesday! 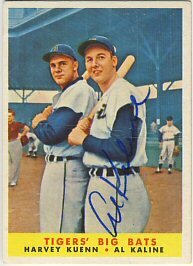 Al Kaline signed the 1958 Topps "Tigers' Big Bats" card. 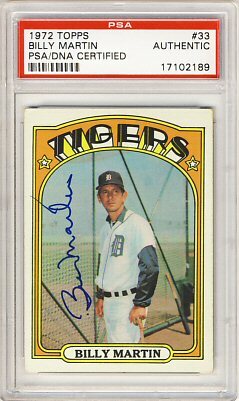 I'm not sure why I waited so long to get this card signed, but I finally have it. 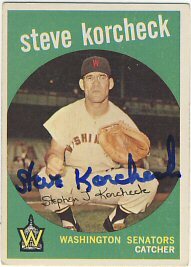 Also, Steve Korchek signed his 1959 Topps for me and wrote me a very nice letter in response to my letter. How nice! Two returns today. 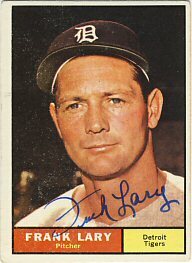 Frank Lary signed his 1961 Topps. 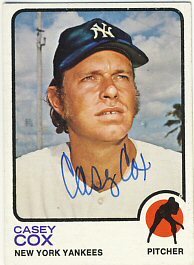 And Casey Cox signed his 1971, 1972 and 1973 Topps for me. I sent out 20 requests today. Hopefully they'll start coming back by the end of next week. 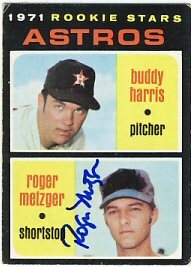 They were mostly 1972 Topps, but included a few 1955 and 1956 Topps. Just one return today. 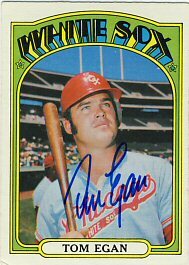 Tom Egan signed a 1972 Topps for me. I'm hoping to have some time tomorrow to send out at least 10 requests. 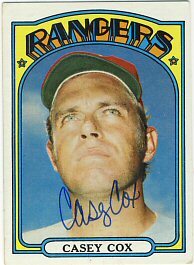 I didn't receive any autographs in the mail this week. Both my sons did however. My younger son received two more Ron Lewis 1969 Mets postcards including Bud Harrelson and Wayne Garrett. 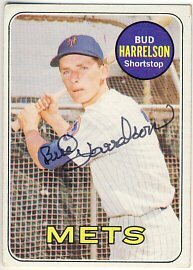 Harrelson also signed a 1969 Topps for him. 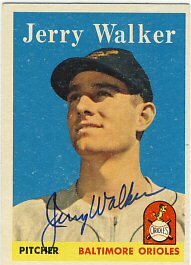 My older son got back a 1958 Topps signed by Jerry Walker. I received two dozen baseballs I ordered from autographsupplies.com and 6 Rawlings bats I ordered from Anaconda Sports. 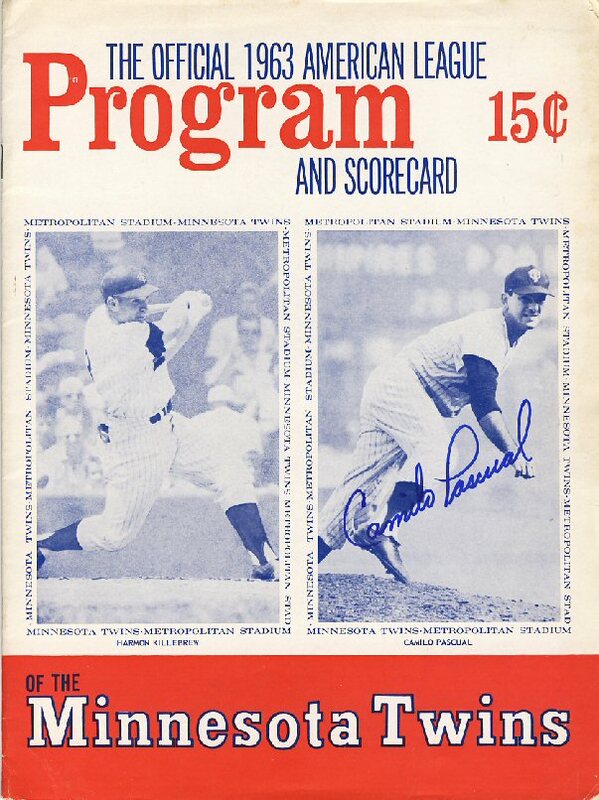 I needed to restock and get ready for some upcoming signings and TwinsFest in January. 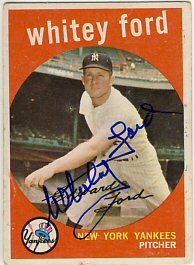 Last fall I sent a 1954 Topps to Whitey Ford to sign. 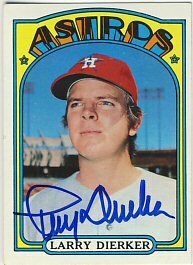 He did, but he signed it in ballpoint. Twice. An odd return that I've wanted to upgrade for a while. Recently I did. 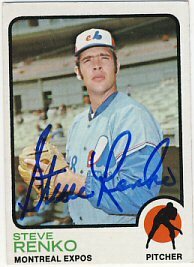 I sent him another card and a $20 check and got back a very nicely signed card in blue sharpie, and he even added his jersey number. It looks great. 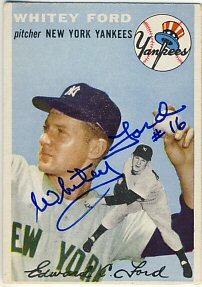 Coincidentally, I also bought a 1959 Topps signed by Whitey Ford from a fellow member of sportscollectors.net. 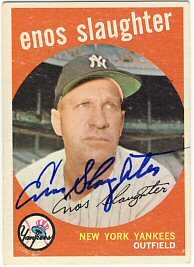 I also bought one signed by Enos Slaughter. Mr. 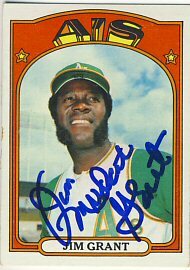 Slaughter was a very good signer through the mail until he passed away in 2002, about a year before I started collecting. My younger son added to his Mets collection yesterday. 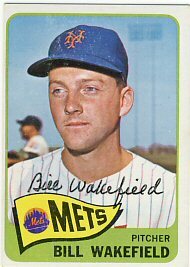 Bill Wakefield signed his 1965 Topps for him. Today I received my cards back from PSA/DNA, authenticated and encapsulated. I also got back a few returns. 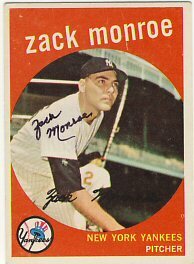 Zach Monroe signed his 1959 Topps that I sent out back in August. 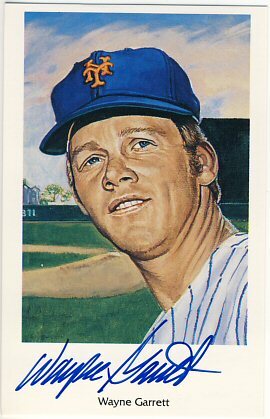 I tried sending this card to him back in 2008 and never got it back. I'm happy to have this one. 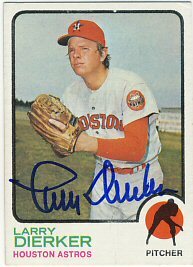 Larry Dierker Signed his 1972, 1973 and 1978 Topps. 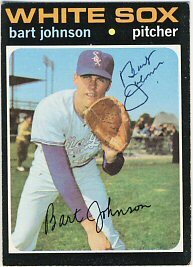 Bart Johnson signed his 1971, 1972 and 1973 Topps. He also signed and returned the 1972 Topps I had enclosed for him to keep. 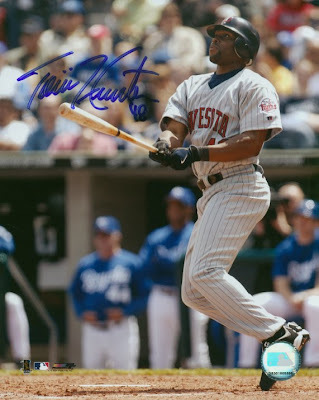 I'm starting to think about TwinsFest. 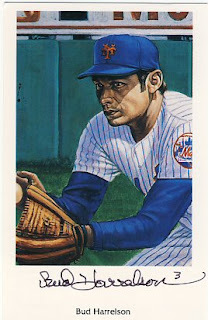 Jeff Reardon will be there signing for the Bob Feller Museum. 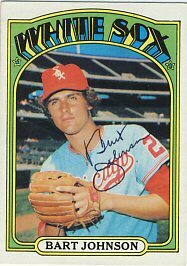 I'd like to get him to sign his bobblehead form the 1987 Twins set. The Twins have a lot of free agents. Eight of the players on the playoff roster could be off the team. I'm not sure what that will look like in January and if there will be many current players there to sign. 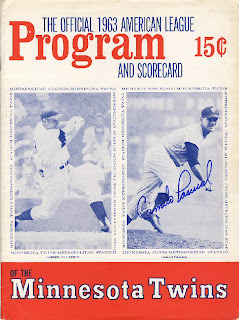 I also want to get Killebrew on a jersey and a program already signed by Camilo Pascual. 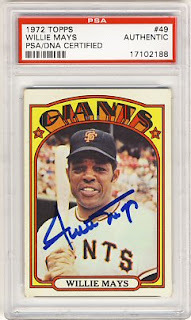 Other than that, I'd like to get a few more players on their 2010 Topps Heritage cards. 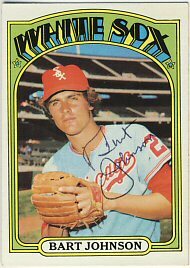 I have a lot of Oliva, Blyleven, and Molitor autographs, so I"m not sure if I'll even go to their lines.